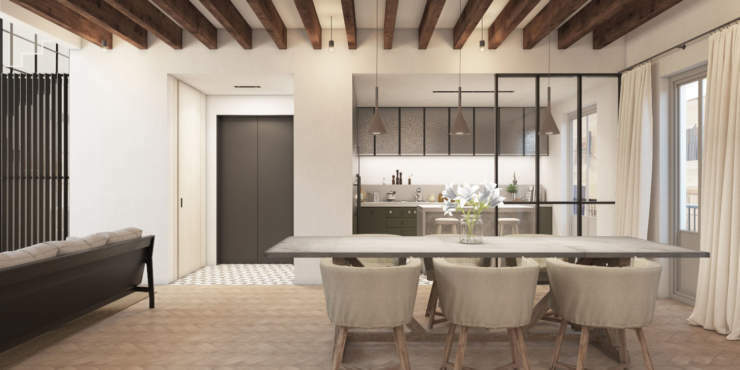 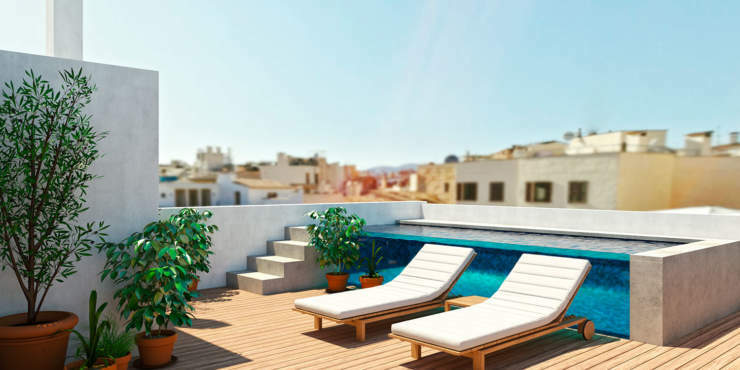 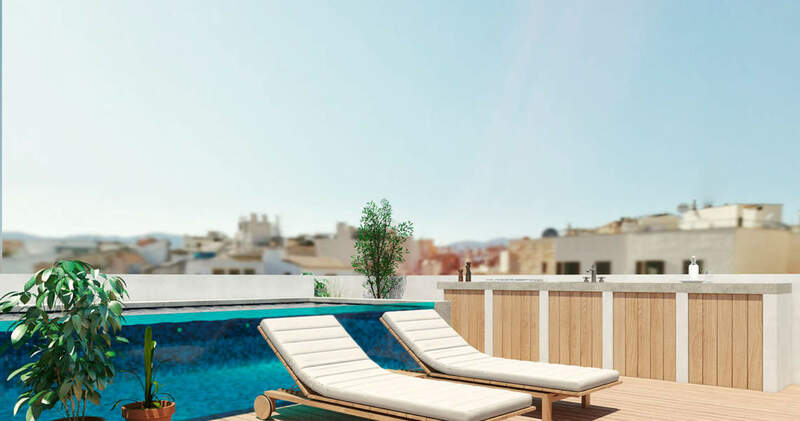 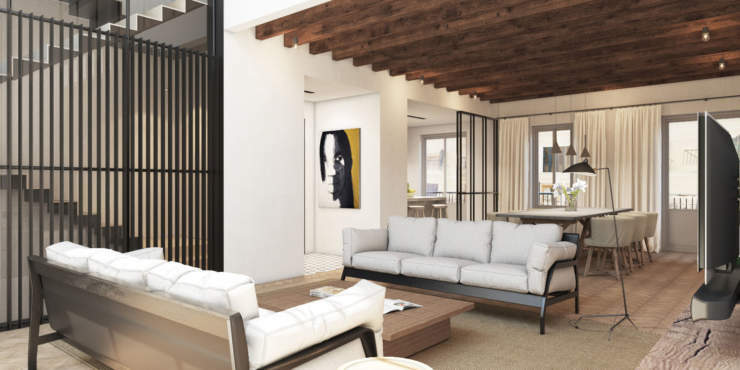 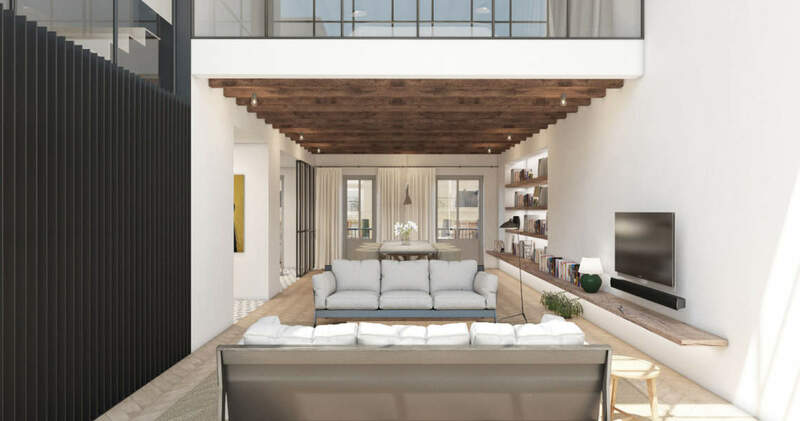 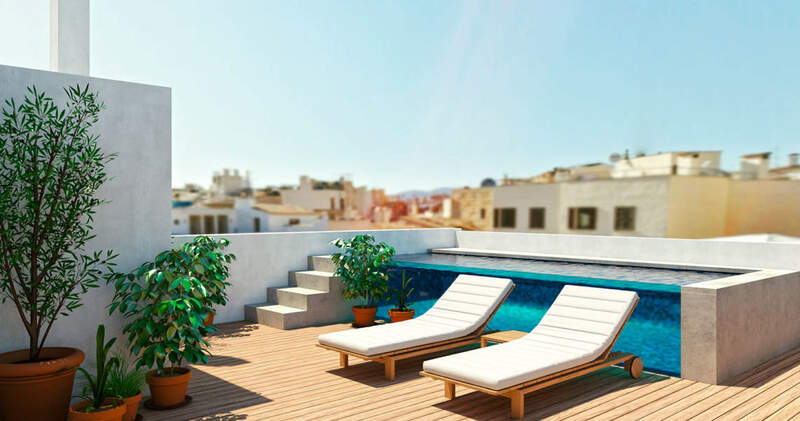 This exclusive new development project with a unique design, is located in an up and coming area in Palmas’ old town, just a short walk to the Plaza Mayor and Plaza Quadrado. 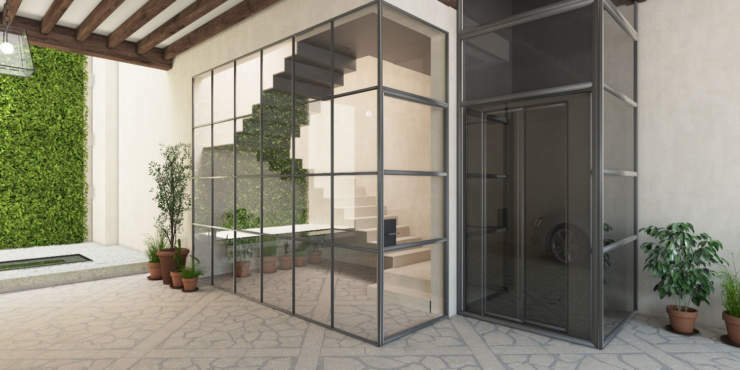 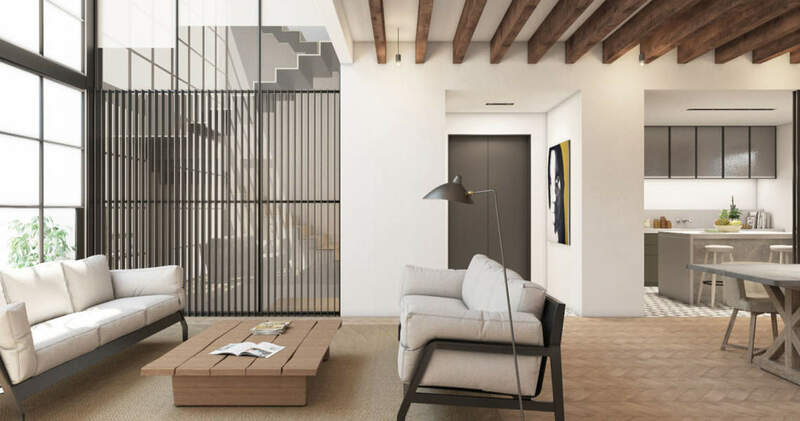 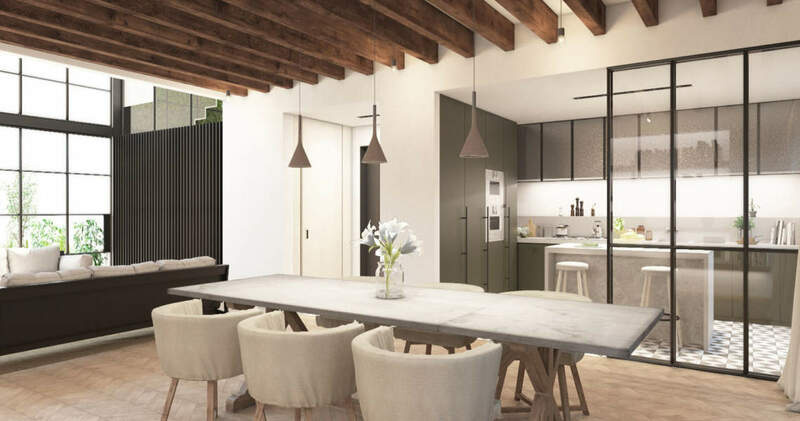 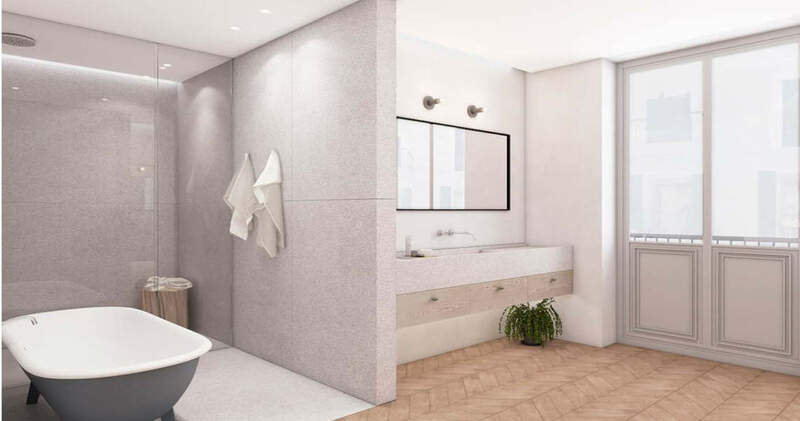 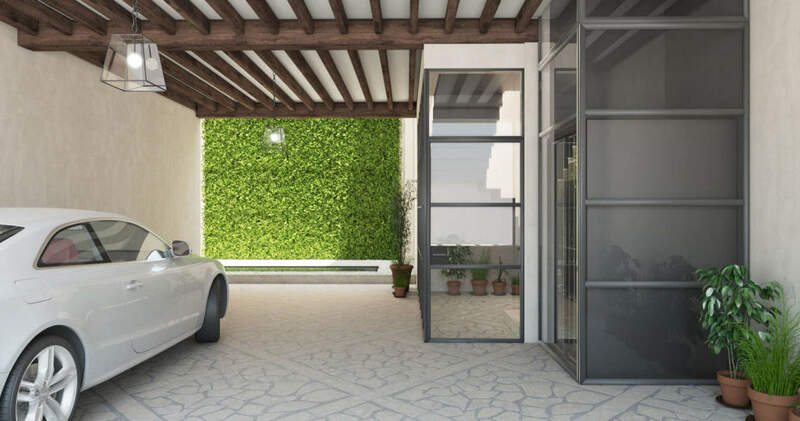 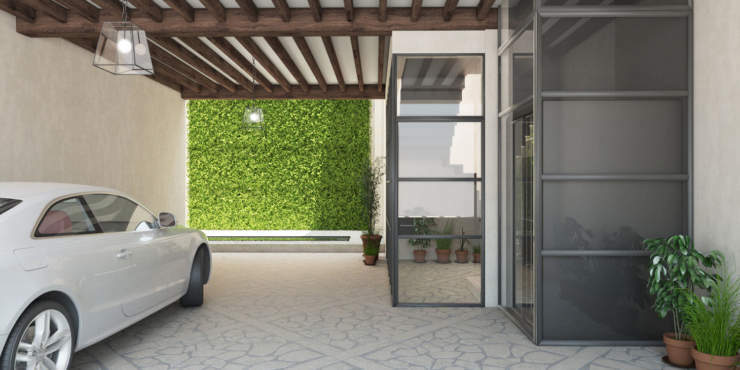 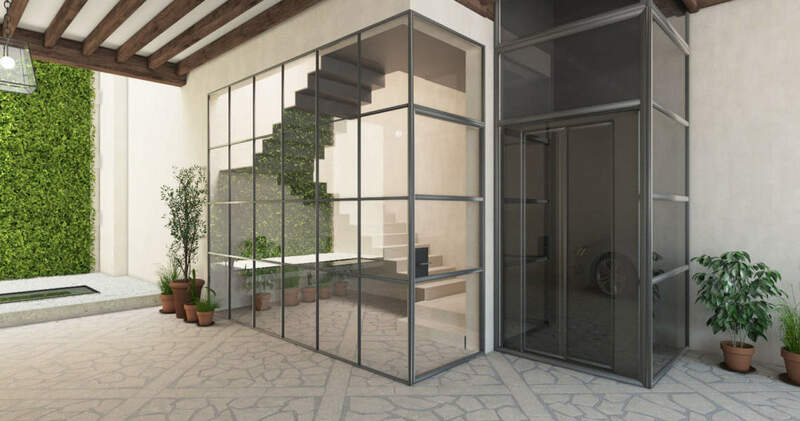 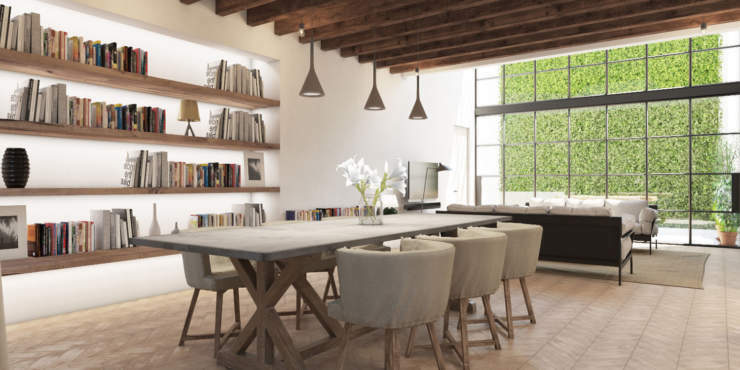 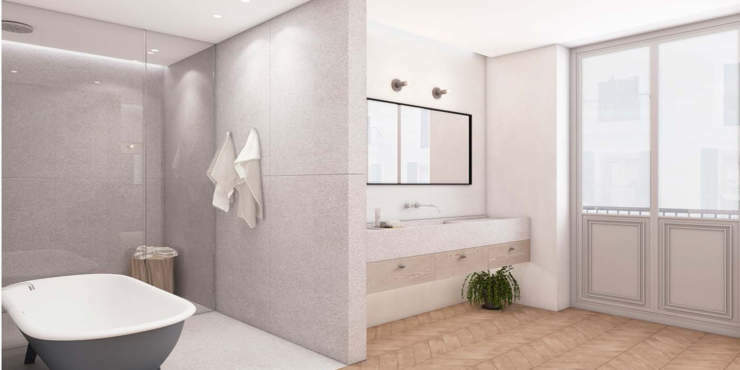 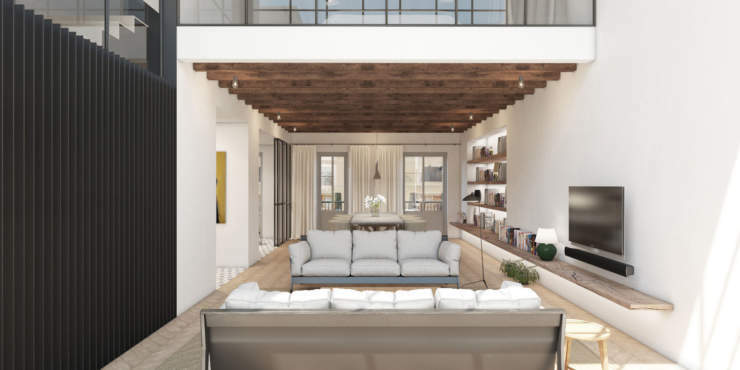 The chic entrance of this four-storey, residential property will comprise a patio with Mediterranean vegetation, a forecourt with two parking spaces, and a contemporary staircase with lift plus a utility room. The first floor will feature an open plan living / dining area with kitchen, a guest bathroom and a balcony. 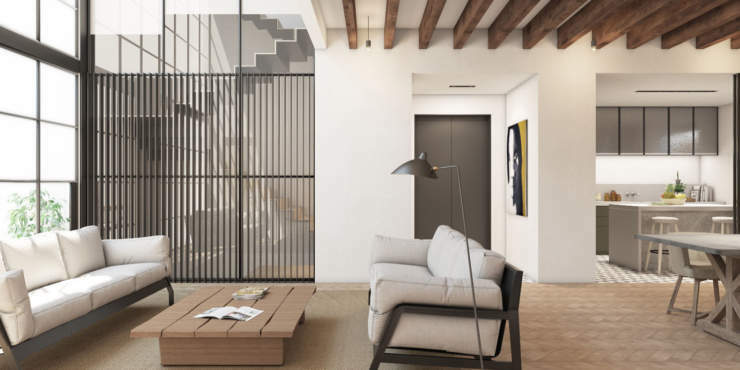 The second and third floors will each comprise two bedrooms and two bathrooms. 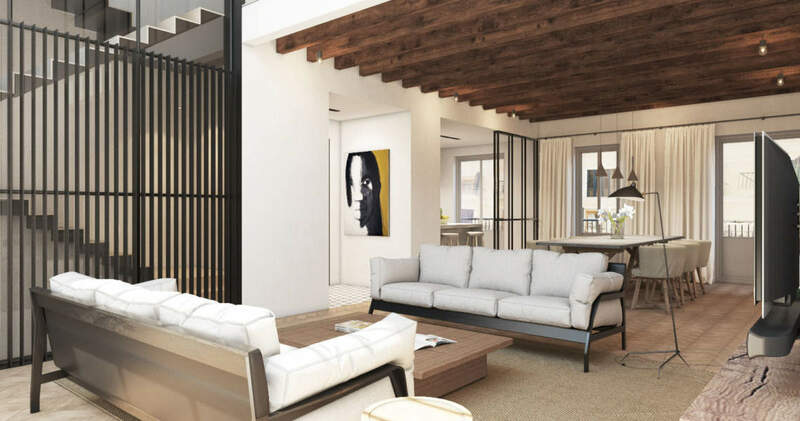 Large, floor to ceiling windows and a spacious living area with clear lines guarantee lots of natural light. 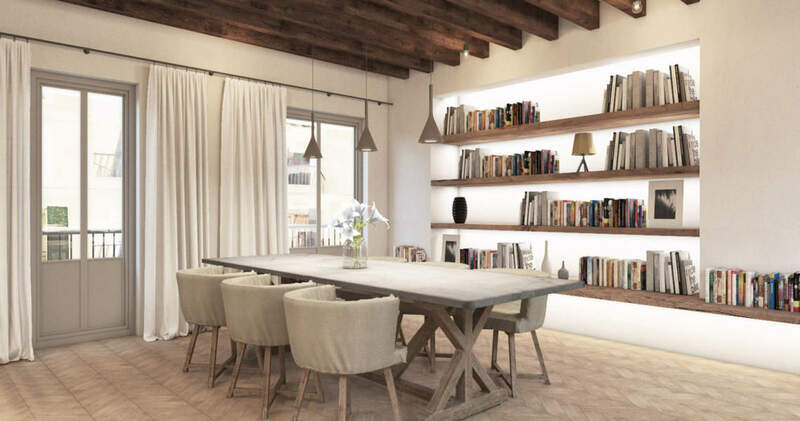 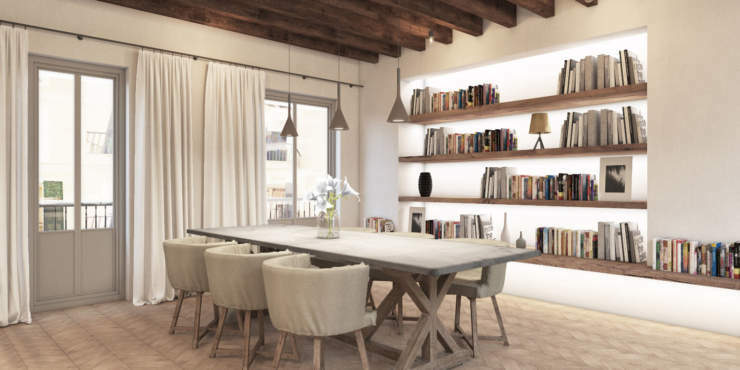 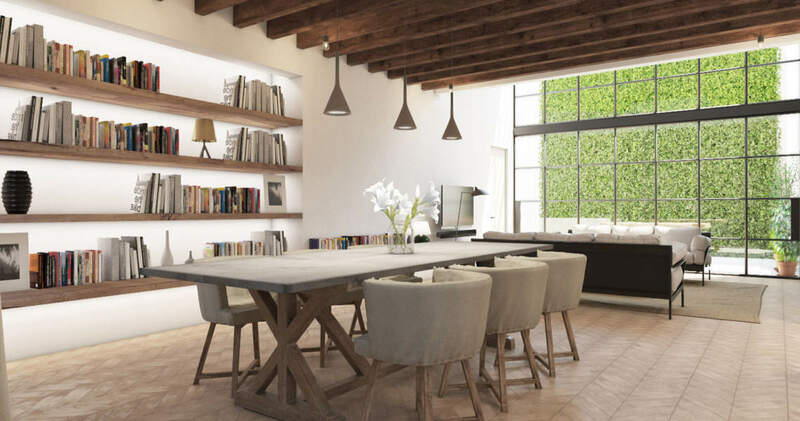 The modern interior design includes top-quality building materials, which are stylishly combined with traditional Mallorcan architectural elements such as wooden beam ceilings which underline the singularity of this property. 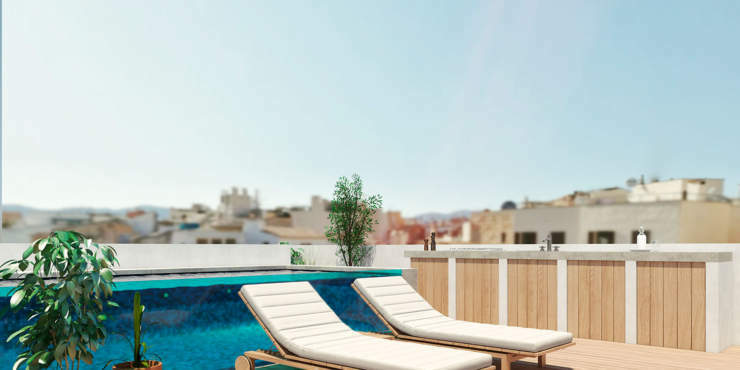 A roof terrace with jacuzzi pool boasts sea views and is perfect for a relaxing break in the midst of a Mediterranean ambience.